C. During registration, you must select “Transactional” emails. After successful signup, verify your Mailjet account. 1. 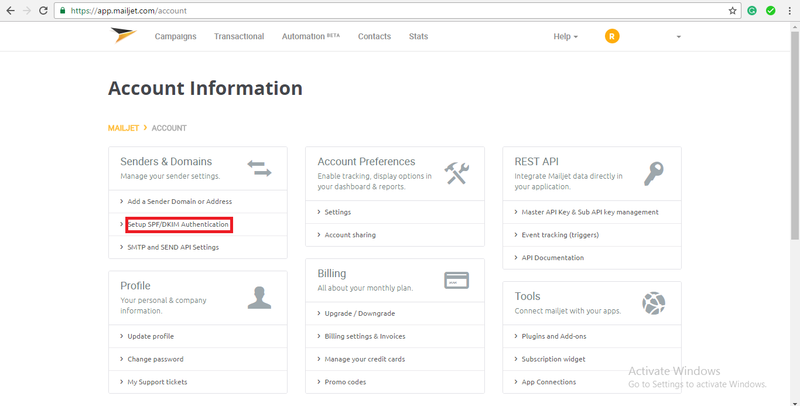 You must update your account profile at Mailjet before stating to send emails. This can be done from account setting page of Mailjet. Click “Save Profile” button, which appears at left side of the screen. 3. Click “Add Domain” button which appears at right of the screen. 4. Inside new popup, fill the domain name and save it. 5. After you have added a new email sending domain name, from which you want to send outgoing emails, you need to add SPF, DKIM, Tracking domain and MX records properly, inorder to make this domain work to send outgoing emails. 6. Add MX record, this record can be added to your sending domain name, when you add a mailbox to your domain name. 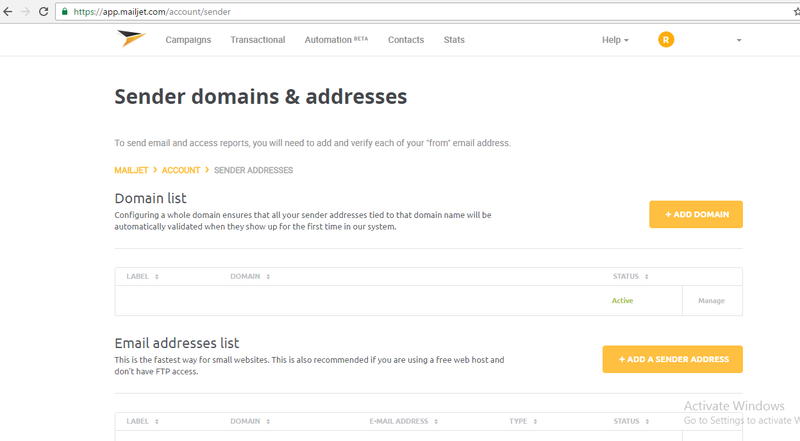 Having this MX record to your domain confirms that you can receive and process incoming emails to your domain name. 7. You can add Google Apps for Business Mailbox or can use your own mailbox from your hosting provider or can use free mailbox service from Yandex. SPF, DKIM and Tracking records need to be updated on your domain DNS host panel, you can find guide for the same from here. 8. Go to My Accounts in your Mailjet account. 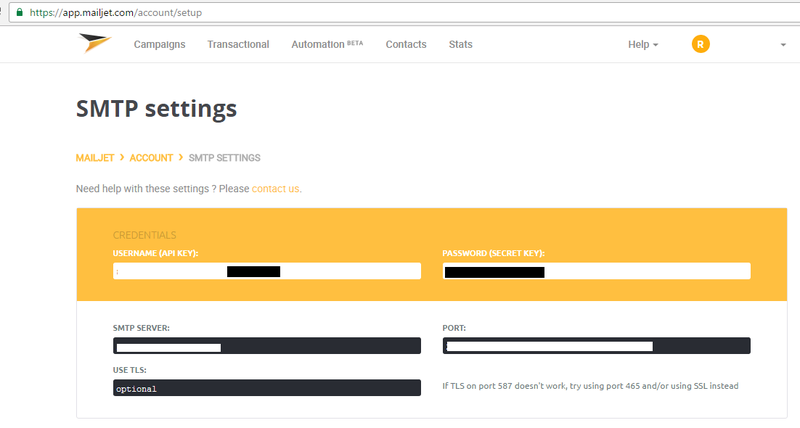 Go to Mailjet Dashboard > Account > SMTP/API key> Click “New API Key” button. 9. Now you are ready to use the domain name. 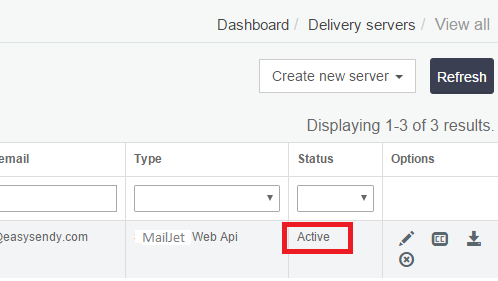 From EasySendy Drip (or EasySendy Pro) Dashboard, go to Delivery Servers > Server Settings > Add Mailjet Web Api. 10. Add Mailjet API key from previous screen to EasySendy delivery server screen. Then, add “From Email”, “From Name” and finally, save the settings. 11. Now you need to validate your server, add an email address, where you can receive validation email. Followed by this, receive the validation email, and click on validation link from the email. 12. 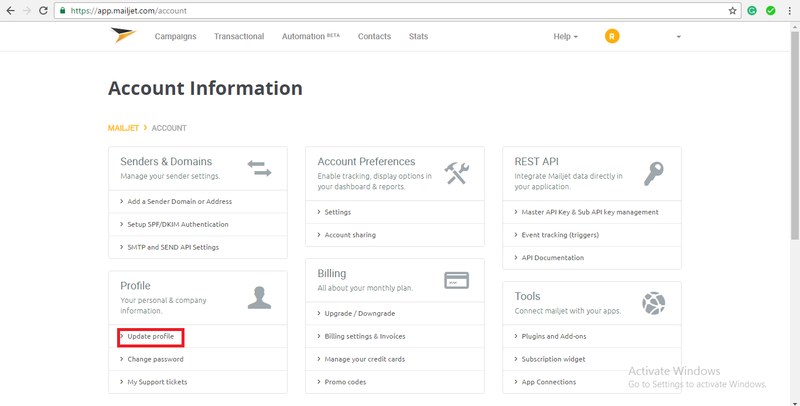 Confirm you have validated and activated the server in EasySendy Drip (or EasySendy Pro) delivery server dashboard. 13. 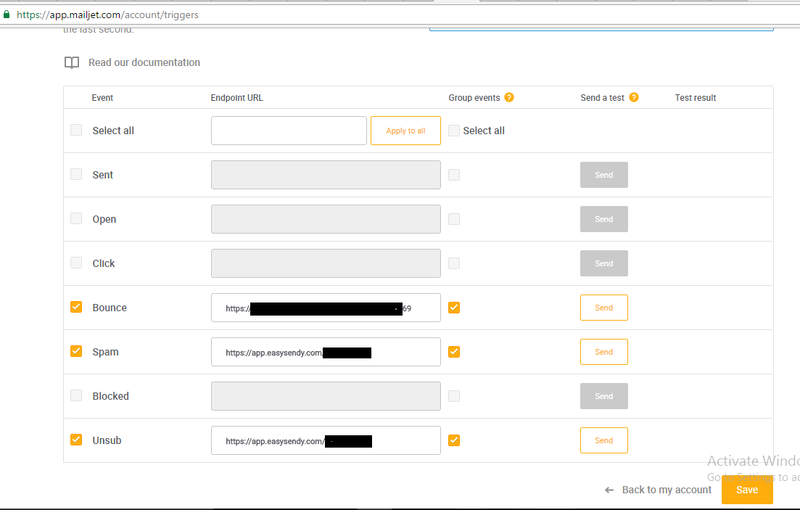 After validation of Mailjet delivery server successfully completes, you can check Mailjet webhooks and confirm, if EasySendy Drip (or EasySendy Pro) bounce and complaint files are successfully added to your account. 15. To check the given webhooks inside EasySendy Drip (or EasySendy Pro), go to delivery server > edit the server > click on “Info” tab from the right corner of the screen. 16. In the new pop-up box, you will get the details about the webhooks and the EasySendy Drip (or EasySendy Pro) links.